At a meeting held on November 8, 1980, 50 people were present and a motion was made to form a new Baptist Church in the Victor Valley. The community was polled and a name was given to the new work, Faith Baptist Church. On November 12, 1980, Albert Baker was called to be the pastor. There were seventy-seven (77) charter member enlisted as such on November 30, 1980. 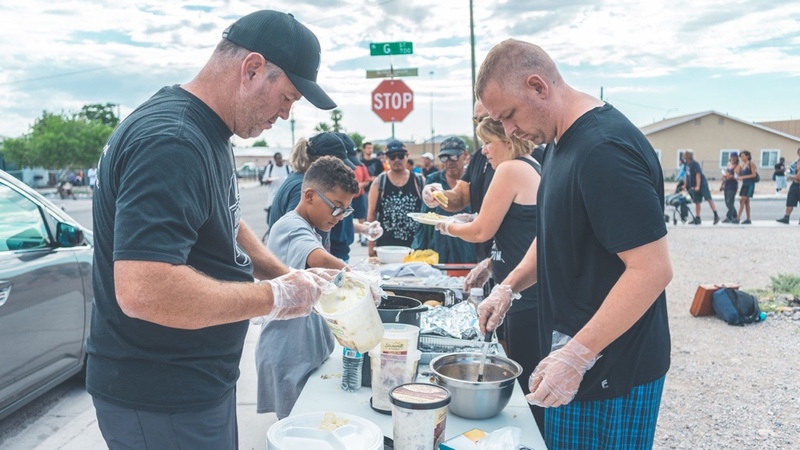 The Seventh Day Adventist Church in Victorville rented space to Faith for services. Faith grew slowly over the next couple of years and on August 8, 1982 an offer was made and accepted to purchase 2 acres to build a new church. However, military families were transferred affecting the church and Pastor Baker resigned on June 26, 1983. Various local pastors filled the pulpit during these days of trial until an interim pastor was found. Joel Cleghorn began serving in September of 1983. Faith moved to Apple Valley on January 1, 1984 to help preserve funds and Pastor Cleghorn resigned. Charles Barnett was called in the Spring of 1984. Five acres was purchased in mid 1985 at an excellent price and plans to build began to be developed. In late 1986, Paul Wilkerson became the pastor and Charles Barnett served as his associate. Progress and growth continued. On June 1, 1987, Ron Hogue became the pastor moving his family from Canada. The church continued to grow and as a result, it moved to Juniper School in Hesperia in late 1987. Over the next several years, the High Desert (particularly Victorville) experienced tremendous growth. The church decided to purchase 7.5 acres on Amethyst Road in Victorville. Plans were developed to accommodate the growth. Faith moved into, what is now known as, the Ministry Center (Chapel) and progress continued. Future facilities were planned with a gymnatorium planned for construction that would seat 1,000. Faith experienced the outpouring of the Holy Spirit during the renewal of 1992-1994. At the same time, the economy took a turn for the worse and George Air Force base closed down. These things impacted Faith greatly! Many who were committed to a more conservative Baptist approach left Faith along with many who lost their jobs because of the base closing. The building plans were put on hold and a Sprung (vinyl) building was erected which would seat 550. Modular buildings were brought in to provide ministry space as well. The church experienced great victories and great trials throughout the ‘90s. Faith Baptist dropped the Baptist label in 1994 and became Faith Community Church. It also withdrew officially from the High Desert Association of the SBC in 1998. After serving Faith for 14 years, Ron Hogue resigned to enter the mission field full time. Randy Howard became the pastor of Faith Community Church officially on August 27th, 2001. The church went through great transition as is customary with leadership changes. However, by the fall of 2004, the church began to settle in under his leadership. In 2006, the church acquired an additional 13 acres (20 in all) with plans to develop a fully functional campus. In 2007, Faith Community Church changed its name to The GATE Church of the High Desert in order to identify with the vision. A gate is a point of access into and out of a city. In ancient times, city gates were the focal points of attack—take the gate and you take the city. They were the gathering places where announcements and declarations were made. The city elders met and deliberated there. Justice was meted out at the gate. The markets were at the gates. Gates were filters allowing good in and keeping bad out. Today, highways, airports, waterways, railways, universities, corporations, bookstores, bars, newspapers and media are points of access into the soul of a city. The Gate is called to be a gatekeeper of a region! 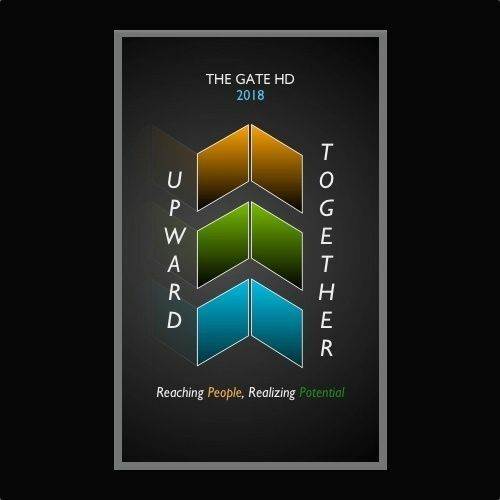 The GATE, led by Randy and Tammy Howard, is a growing congregation in the bedroom community of Los Angeles in the High Desert of Southern California. As of 2013, we reengaged in cooperative fellowship with the Southern Baptist Convention (SBC) and are multi-aligned with both the Southern Baptist Convention (SBC) and Kingdom Ministries International (KMUSA) - a network of churches and ministries throughout the nation. At the GATE, it is our aim to pastor the High Desert region, impact our state and our nation as well as reach the nations of the earth with the Kingdom message of Jesus Christ! We strive to be an Acts 1:8 Church with ministries to ... our Jerusalem (Victorville), our Judea (the High Desert region), Samaria (Southern California) and the uttermost parts of the earth (our nation and the nations). Our three-fold focus is on MAKING DISCIPLES, CREATING COMMUNITY and BUILDING THE KINGDOM OF GOD! With plans underway to develop a fully functional campus, we believe we are to be about the Father’s business of changing lives from infants to seniors. There is quantitative as well as qualitative growth taking place that is positioning us for a great move of God and we would love to have you join with us on this remarkable journey toward our destiny! Join us every Sunday as we gather for Bible Study and to Worship together at 8:30 am and 10 am.